At the end of August, I wrote a post about my current planner system but not much about organizing or projects. So I wanted to give you a planner update (because I’ve made changes) and talk about organizing and projects. The changes I made to my planner were to the daily section. I was just using a simple “to do” list system, but I found myself wanting to see the week at a glance. 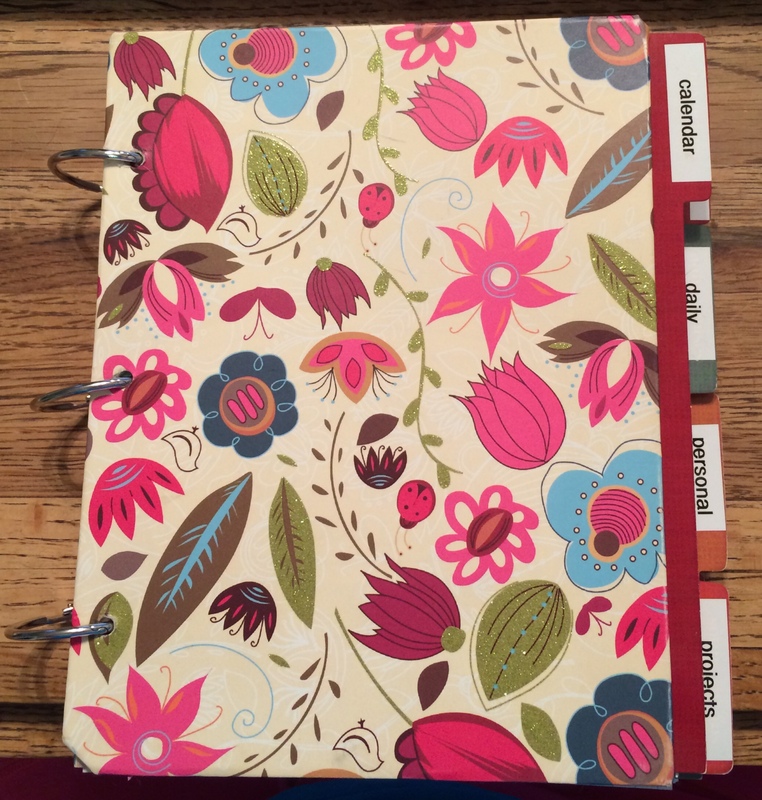 While reading one of my paper crafting bloggers, Jennifer McGuire, I watched a video she posted explaining her organizing system. 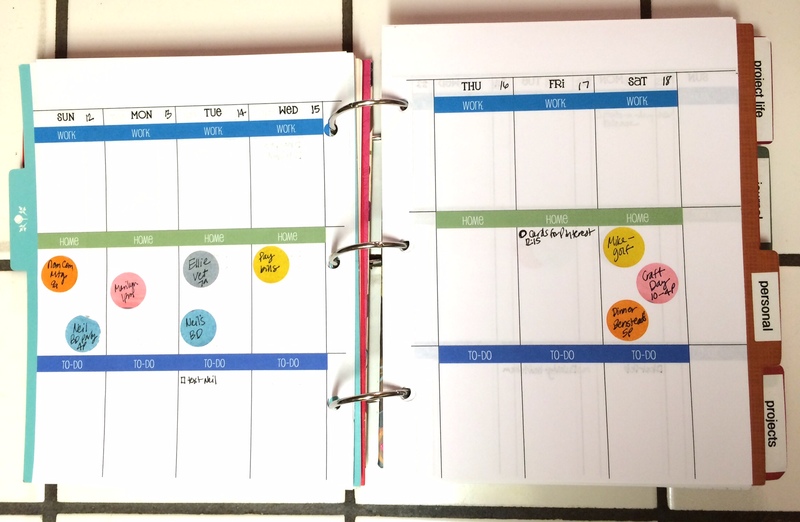 She uses an Erin Condren Life Planner, but made some modifications to fit her needs. It was what I was looking for! I went to my computer and created a week-at-a-glance page divided into three sections, work, home and to-do. By organizing my week in this way, I’m able to see where I need to focus my time. If I have a lot of products to prepare for my Etsy shop then I’m able to spread the work throughout the week and if I have lots of home and personal situations to focus on, I can plug those in and fill activities around them. The To-Do section at the bottom is where I list the top 5 items I NEED to get done that day. That feature really helps me to keep on track and not let important jobs fall by the wayside. So far this is helping me to be pretty productive. In her video, Jennifer also shared a tip about using stickers to mark appointments or events that I want to highlight. She recommended using white Avery Removable labels and coloring them with markers or highlighters to color code activities. You don’t need to tell me twice to color code!!! The week pictured above isn’t completely filled yet, but I think you get the idea. Onto organizing and projects. My method for organizing and specifically organizing my projects is pretty straightforward. I have a section in my planner devoted to projects where I have lined paper. On each sheet I write the project name and the first very thing I do is write a purpose statement about the project. If I don’t know why I’m doing something, then maybe I shouldn’t be doing it. Then I start to list all the tasks involved. This does a couple of things: 1. It allows me to see the full scope of what I’m trying to accomplish and 2. It breaks the huge idea into smaller, manageable tasks. If a task is something I can delegate then I write the person’s name next to it. If the task has a deadline then I put the date next to it. As I plan out my weeks, I’m careful to go to my project section and pull tasks into my week of activities. It’s nice having all this information in one place. Since announcing my Quest46 idea, I’ve had a few people ask how I plan to accomplish 46 items in a year on top of everything else. The people who’ve asked are individuals who know me and my propensity to over-plan and over-commit. 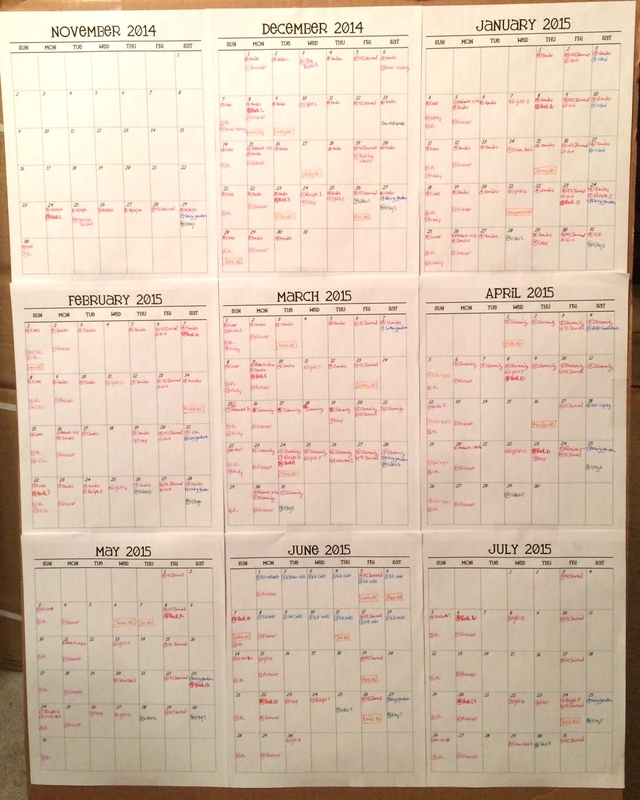 Before I decided to do this, I printed 12 1-month calendars and mapped out each item over the course of the year. I attached the calendars to a big piece of cardboard (front and back) so I could see the whole year. Some months are going to be very full, but if I work my project tasks, I should be able to keep up. I know I’ll be making adjustments as the year goes along, but all in all I think I was pretty conservative with how I allotted time for each item. In Manage Your Day-To-Day, Gretchen Rubin writes, “Anthony Trollope, the nineteenth century novelist while revolutionizing the British postal system, observed, ‘A small daily task, if it be really daily, will beat the labours of a spasmodic Hercules. '” Some of the projects on my Quest46 list are things I’ve wanted to do for years. I’m tired of being a spasmodic Hercules; I’m ready for the committed small daily task. And the accountability to go along with it. Item #6: Plant a vegetable garden. As our diets have changed over the past 11 months, we eat A LOT of vegetables. I’d love to have a small vegetable garden where all I have to do is step outside to get the homegrown fixings for our meals. 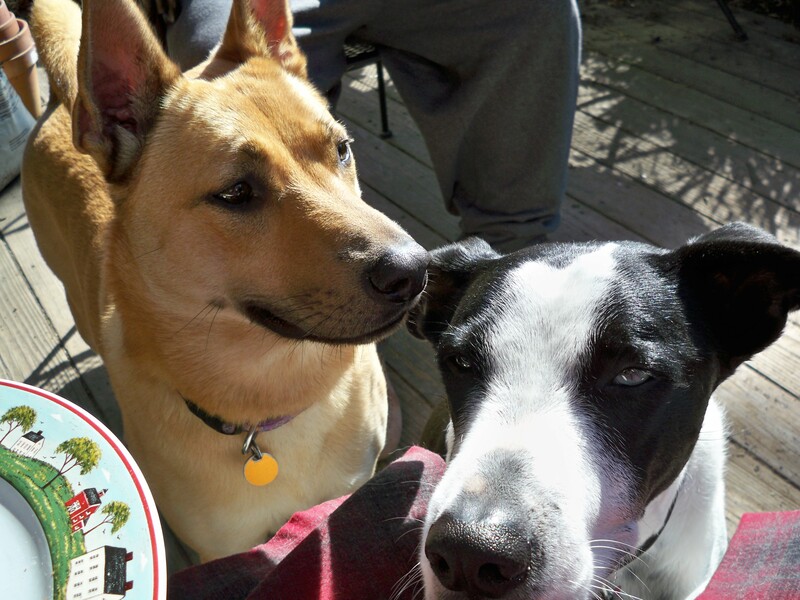 Hey Woody – Mom’s going to plant a vegetable garden. All the carrots we can eat, man. Good thing Mindy doesn’t like veges, huh? This entry was posted in Accountability, Gardening, Goals, Lists, Organization, Quest46, Saving Money and tagged accountability, Gardening, goals, lists, Organization, Quest46, saving money. Bookmark the permalink.